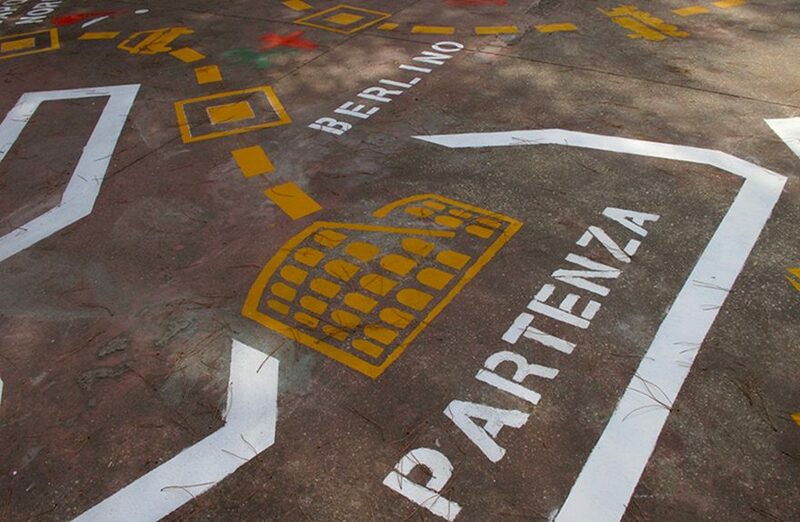 An urban redevelopment project has transformed the gray courtyard of a Roman periphery childhood school into a large map. 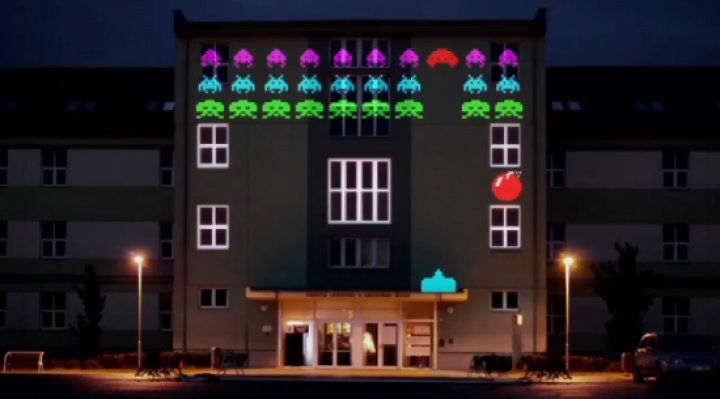 Designed as a tribute to old video games, this mapping video proves successful. Created with the characters of Mario, Pac-Man, Space Invaders and Lemmings by Playground Dark.